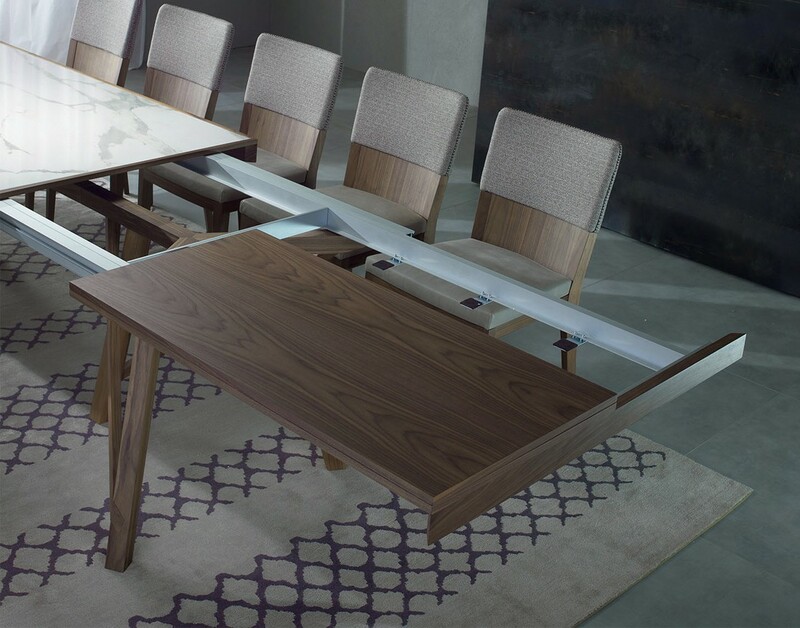 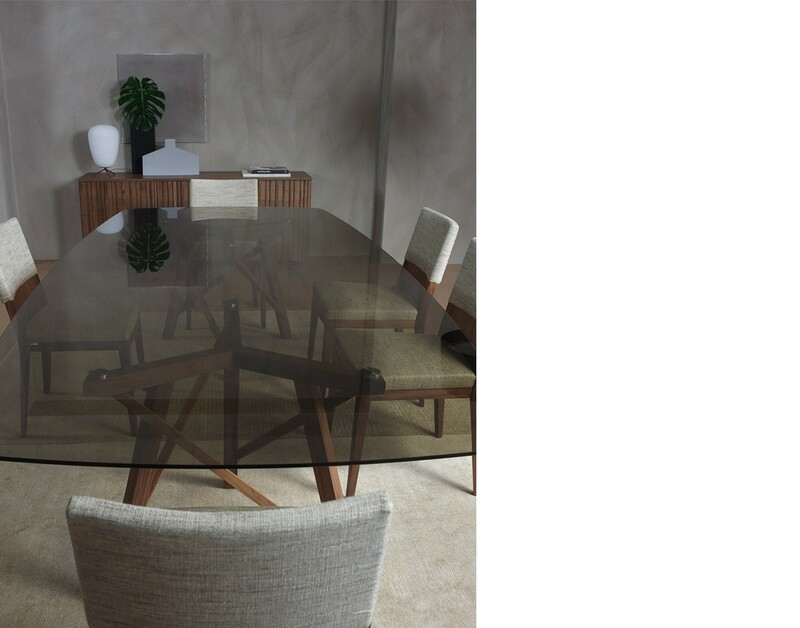 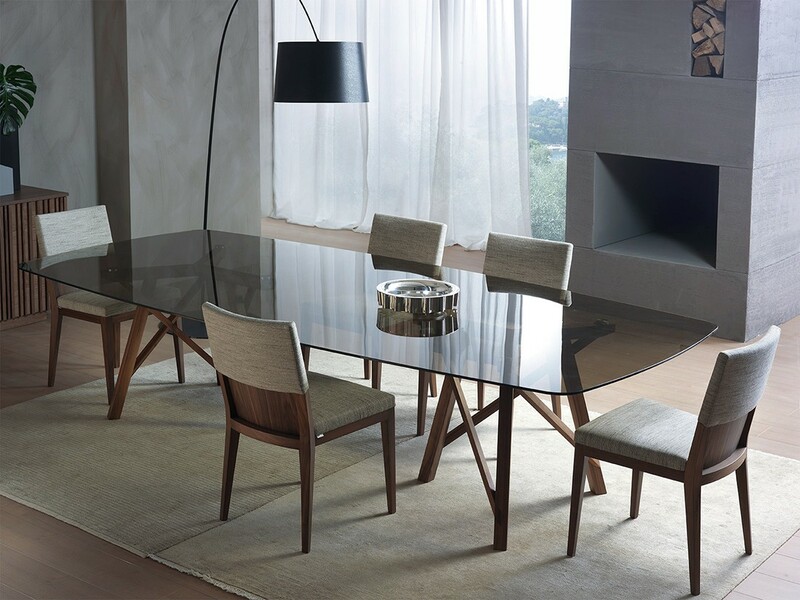 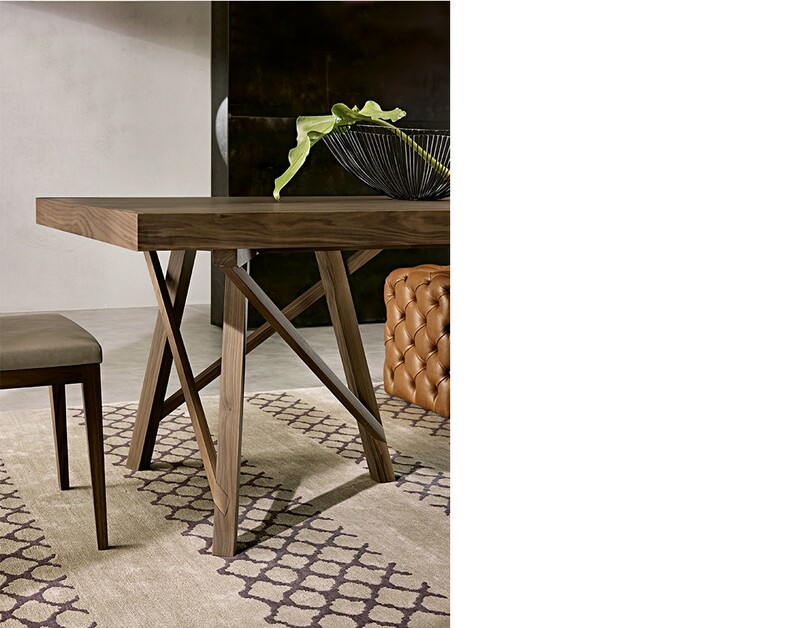 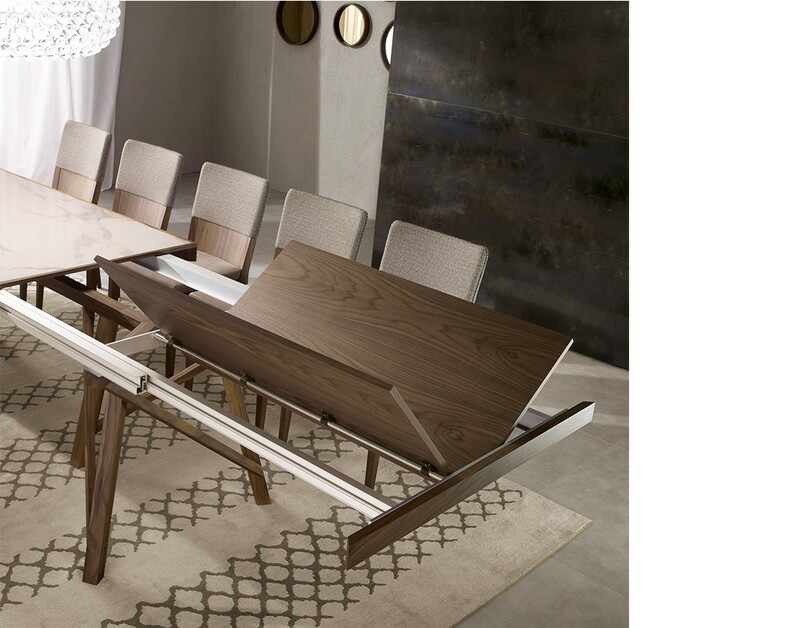 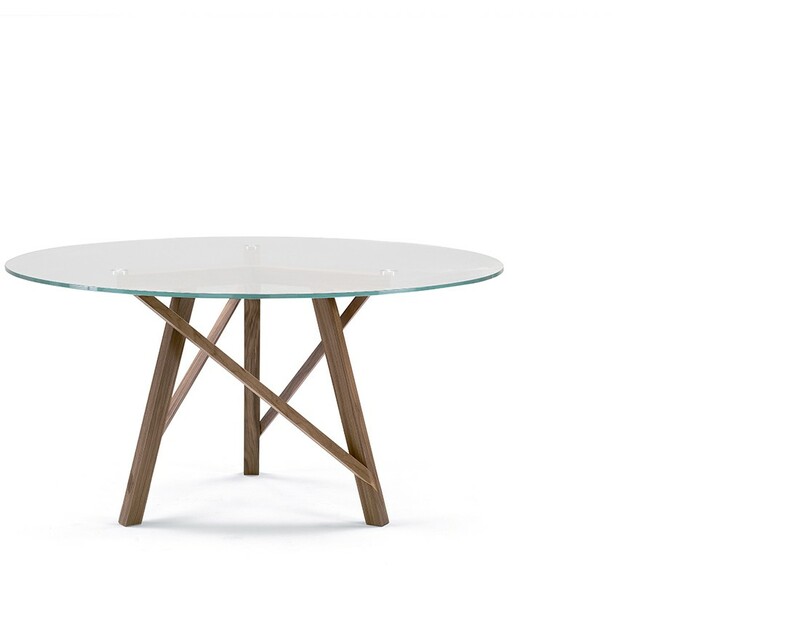 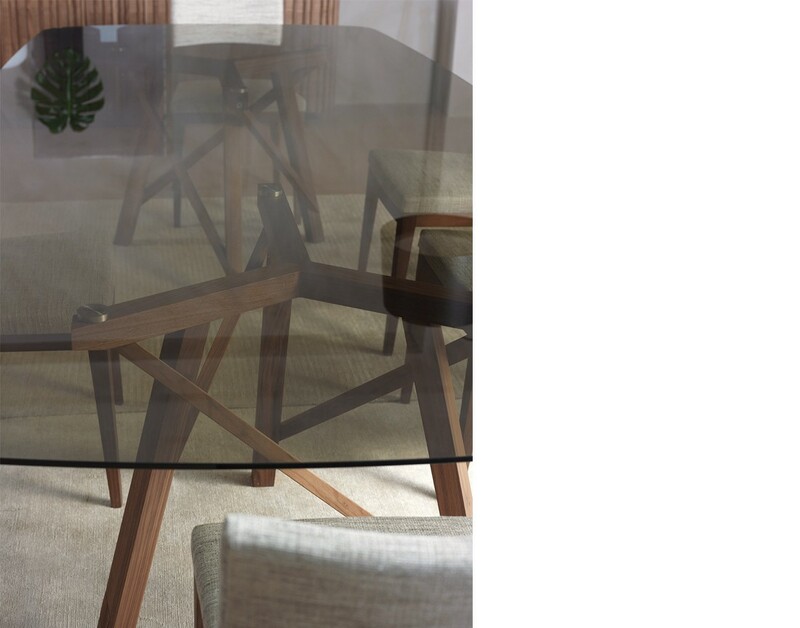 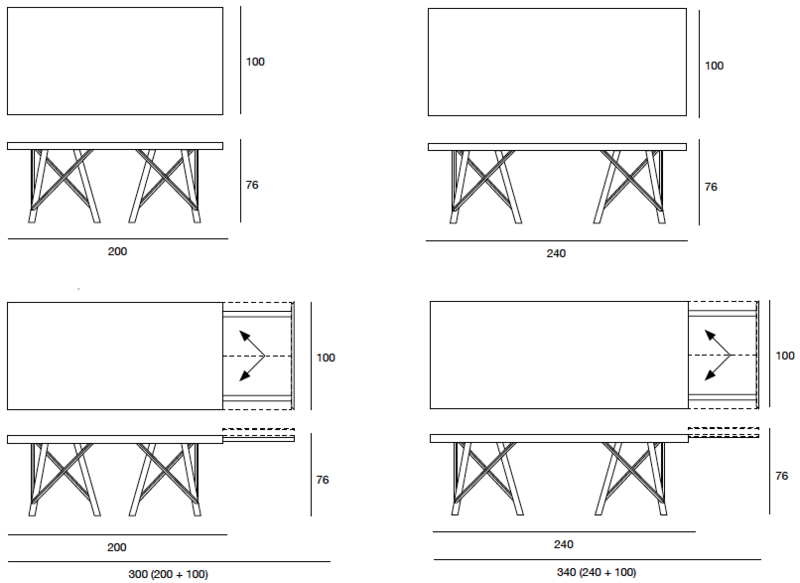 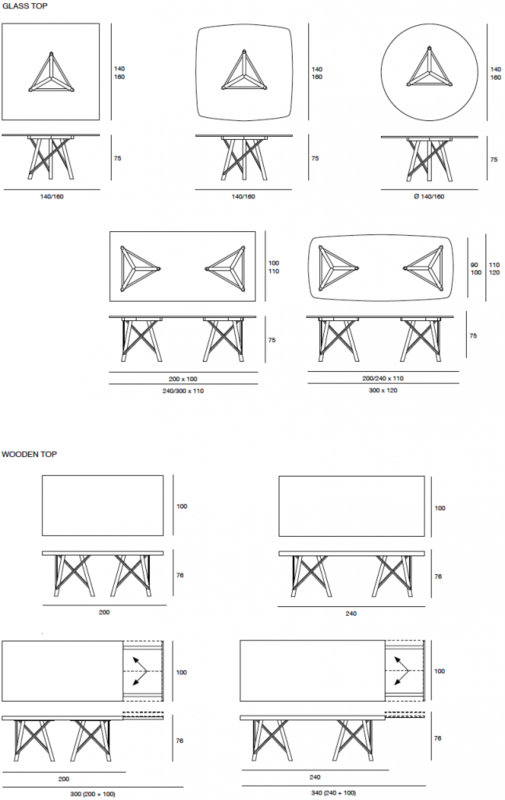 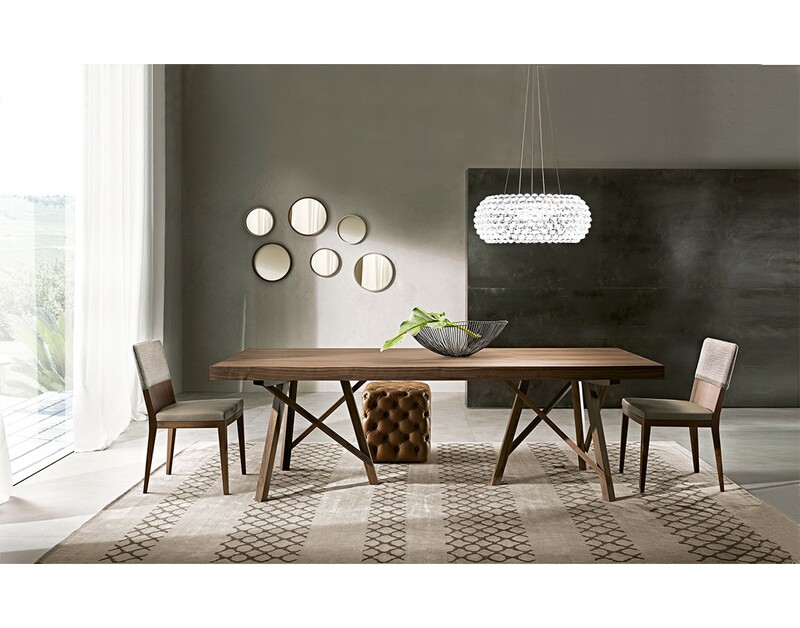 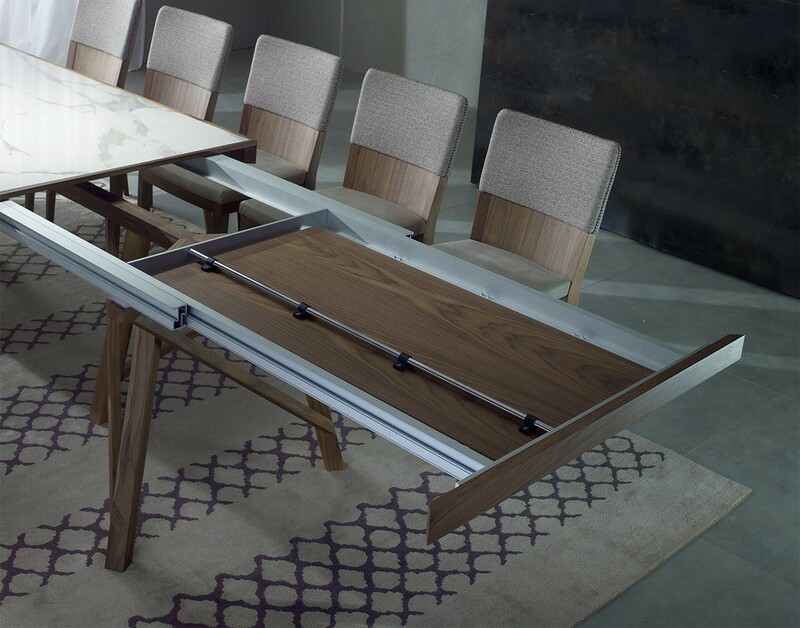 Dining table fix or extendible with base and structure in solid canaletto walnut. 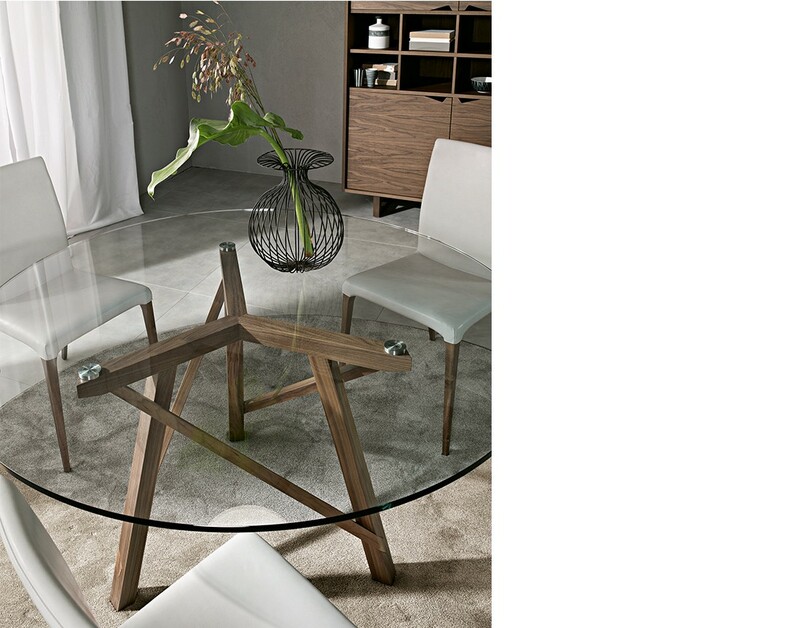 In the fixed version, top available in wood, in glass, in Cimento® (concrete C02 sand, C03 dove) or Laminam® (ceramic with marble effect). 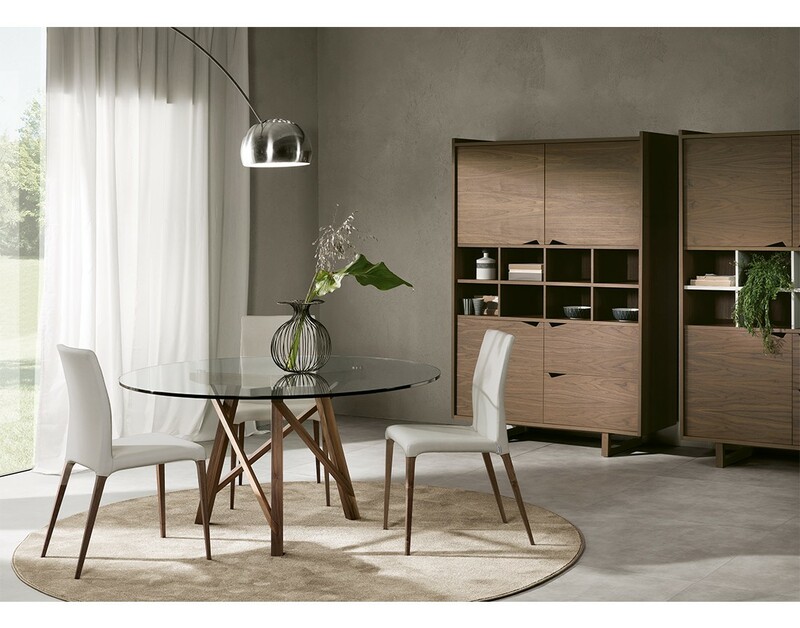 In the extendible version, top available in wood, in lacquered glass (extra light white, black or moka) or in Laminam® (ceramic with marble effect) with self catering mechanism in alumium and inner extension veneered canaletto walnut. 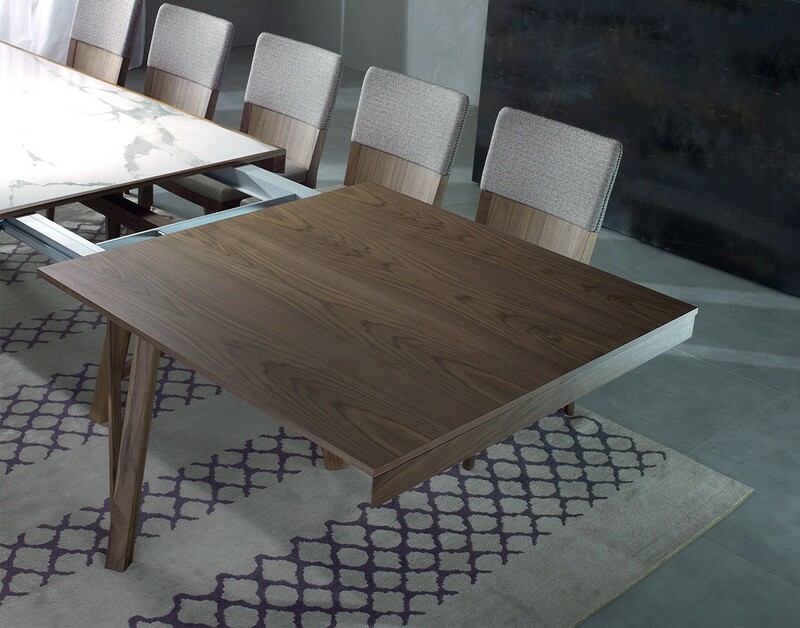 Available finishings: WG wengé, NK canaletto walnut.